The You Can Heal Yourself Expo is passionate about educating the general public on their health and healing options and providing a more scientific, balanced view of a healthy lifestyle and healing disease. They are focused on health care services and products who also reflect their ethos of education before sales, an absolute passion for helping people to help themselves, high ethical standards and quality products and services. 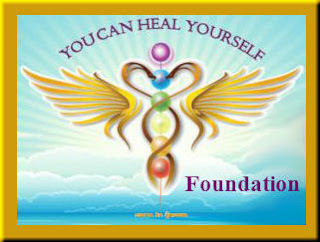 Over 60 Displays on Health, Wellbeing, Natural Therapies, Sustainable and Organic Eco Living, Readers and Education. 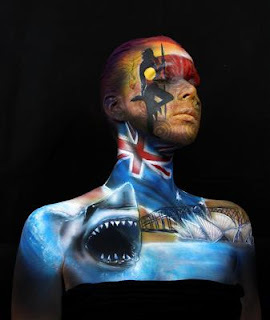 Held annually in Eumundi, the Australian Body Art Carnivale is Australia’s premier body art event, attracting artists and spectators from across Australia and overseas. It is a colourful and creative festival experience for all ages. The dates for 2013 are Saturday 11 May and Sunday 12 May (Mother's Day). The event is centred on competitions in full body art and face painting, but also includes competitions and exhibitions in wearable art, vehicle art and photography. The 2013 theme is the "Best of Oz" which lendsitself to a wide range of interpretations for artists. Think Aussie icons like the Opera House or Harbour Bridge, The Great Barrier Reef, Uluru, or Kakadu. Iconic people like Dame Edna, Kylie Minogue, Metre Maids, Bondi Lifesavers, and sports stars from Black Caviar to tennis and cricketing legends may provide inspiration. Or iconic Aussie brands and inventions – from the pavlova to vegemite, or even the hills hoist. Plus there is a host of Aussie movies from which to draw inspiration - from Mad Max to Priscilla Queen of the Desert. The theme certainly doesn’t rule out interpretation of The Wizard of Oz either - good and wicked witches, scarecrows, tin men, munchkins and more! All weekend there will also be music, street performers, market stalls, and lots of fun activities for kids and families including face painting, craft workshops, pavement art and doll decoration workshop and competition.